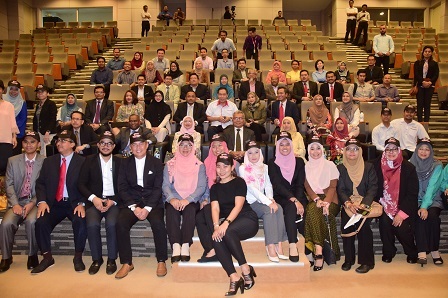 SERDANG, 17 July - The establishment of the Market Validation Hub or InnoHub in late 2013 by Universiti Putra Malaysia (UPM) has successfully produced more than 50 technology entrepreneurs or techpreneurs with the ability to spearhead a business. 10 companies recently graduated when their techpreneurs or Chief Executive Officers (CEOs) successfully met 100% of the market validation activities criteria and gained sufficient income which enables start-up companies to remain competitive through a solid business model. The graduation certificates were presented by the Minister of Entrepreneur Development, Mohd. Redzuan Md. Yusof to the officers and entrepreneurs from the 10 companies at UPM InnoHub Innovation Showcase event here. In his officiating speech, Mohd. 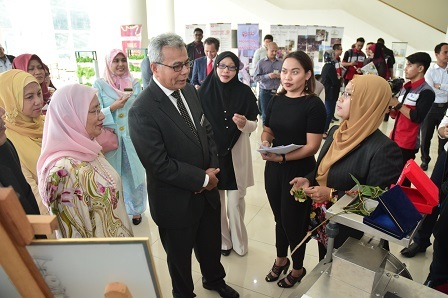 Redzuan said that the ministry will offer its support to UPM InnoHub programme and provide assistance in various aspects to ensure that more techpreneurs are produced to accelerate the country’s economy. According to him, start-up companies are in need of substantial support and assistance to expand their business globally. While extending his congratulations on the graduation of the 10 UPM technologies under the InnoHub programme, Mohd. Redzuan expressed his belief that the success was achieved due to the collaboration between the techpreneurs and academicians as well as the researchers who embraced a dynamic work culture. He hoped that the techpreneurs and UPM researchers would continuously be committed and enthusiastic in creating innovations - turning laboratory scale prototypes into products that have market values. UPM Vice Chancellor, Prof. Datin Paduka Dato’ Dr. Aini Ideris said that InnoHub is an ecosystems preparation hub which strengthens the collaboration between academicians and industries as well as investors.